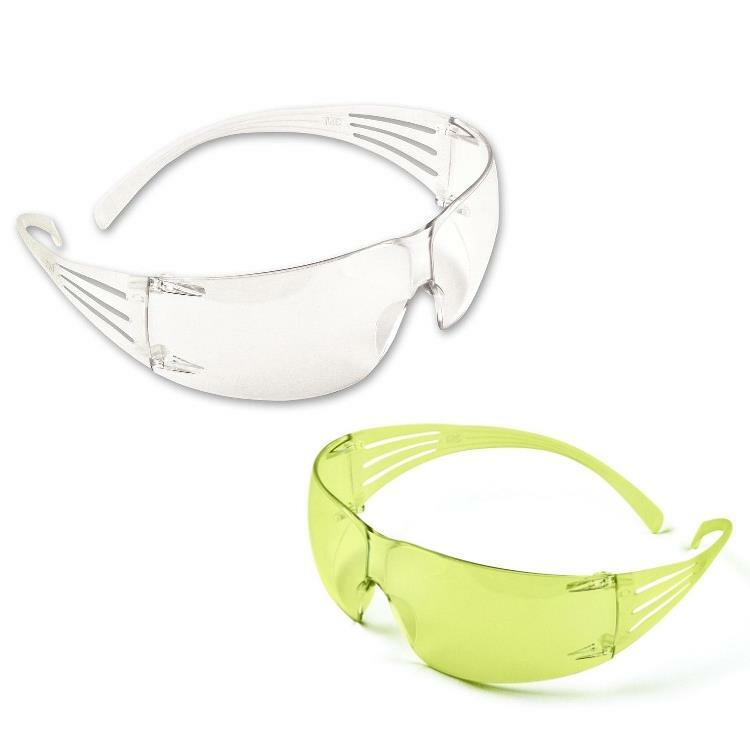 As soon as you put on these SF200 lightweight glasses you'll feel the difference. Thanks to 3M Pressure Diffusion Temple Technology, these Spectacles automatically self-adjust to provide a secure and comfortable fit each time. Polycarbonate lens, which absorbs 99.9% UVA/UVB and Anti-Fog Coating. Molded nose bridge for more comfort. 3M SecureFit SF200 Series Safety Spectacles conforms to: EN 166:2001 standard. Polycarbonate lens absorbs 99.9% UVA and UVB. 3M Pressure Diffusion Temple Technology.